Mosquitoes capable of carrying Zika virus found in Washington, D.C.
On Monday (Jan. 25), the World Health Organization announced that Zika virus, a mosquito-borne illness that in the past year has swept quickly throughout equatorial countries, is expected to spread across the Americas and into the United States. The disease causes symptoms including a rash, headache and small fever. However, a May 2015 outbreak in Brazil led to nearly 3,500 reports of birth defects linked to the virus, even after its symptoms had passed, and an uptick in cases of Guillain-Barre syndrome, an immune disorder. The Centers for Disease Control and Prevention has issued a travel alert advising pregnant women to avoid traveling to countries where the disease has been recorded. Zika virus is transmitted by the mosquito species Aedes aegypti, also a carrier of dengue fever and chikungunya, two other tropical diseases. Though Aedes aegypti is not native to North America, researchers at the University of Notre Dame who study the species have reported a discovery of a population of the mosquitoes in a Capitol Hill neighborhood in Washington, D.C. To add insult to injury, the team identified genetic evidence that these mosquitoes have overwintered for at least the past four years, meaning they are adapting for persistence in a northern climate well out of their normal range. While the Washington population is currently disease-free, Notre Dame Department of Biological Sciences professor David Severson, who led the team, noted that the ability of this species to survive in a northern climate is troublesome. This mosquito is typically restricted to tropical and subtropical regions of the world and not found farther north in the United States than Alabama, Mississippi, Georgia and South Carolina. Severson’s research focuses on mosquito genetics and genomics with a primary goal of understanding disease transmission. 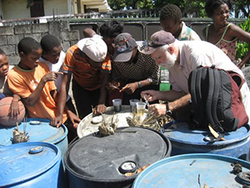 He has studied and tracked mosquitoes all over the world and most recently served as the director of the Eck Institute for Global Health at Notre Dame. 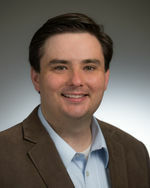 His team, in coordination with the Disease Carrying Insects Program of Fairfax County Health Department in Fairfax, Virginia, recently published their findings in the American Journal of Tropical Medicine and Hygiene. 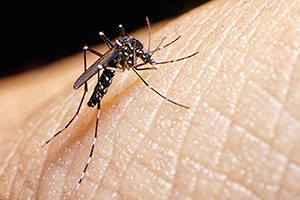 Notre Dame has a long history of mosquito research, studying both Aedes aegypti and Anopheles gambiae species, vector control and using mathematical models to better understand the dynamics of infectious disease transmission and control. Alex Perkins, Eck Family Assistant Professor of Biological Sciences, focuses on using mathematical, statistical and computational approaches to study mosquito-borne pathogens including dengue, chikungunya and Zika. Perkins uses the models to understand how to best control and prevent transmission of these diseases. He has previously worked with the CDC on making recommendations for chikungunya and dengue virus, and said he has discussed working with the CDC on Zika virus modeling. The Eck Institute for Global Health is a University-wide enterprise that recognizes health as a fundamental human right and endeavors to promote research, training and service to advance health standards for all people, especially people in low- and middle-income countries, who are disproportionately impacted by preventable diseases. Originally published by Sarah Craig and Brittany Collins at news.nd.edu on January 26, 2016.